Friday: Insurgent folk and country with Elmore’s Corner, 5 p.m, no cover. Raven House Gallery, 120 Grand Ave., Mancos. Information: 970-533-7149. Erik Nordstrom and Paul “Bubba” Iudice of Elmore’s Corner. 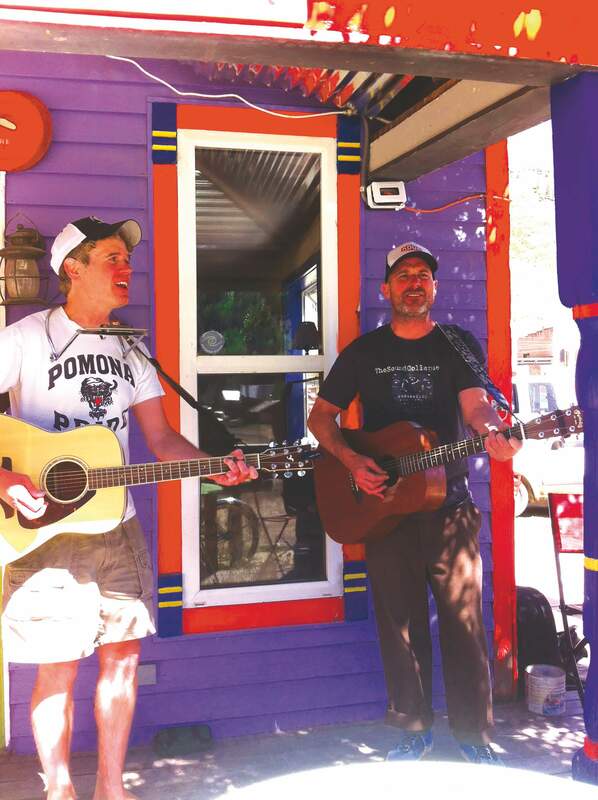 Local rock band Farmington Hill was born a duo. Before they named themselves after the intersection that leads you to New Mexico – before two indie-alternative country and cow-punk records – it was just Erik Nordstrom and Paul “Bubba” Iudice figuring it out together, outside the Lawn Chair Kings and the now-defunct Freeman Social, their respective bands. The first official outing was almost a decade ago, at the “Who’s Your Daddy Festival,” the old fundraiser for the Durango Discovery Museum. The two haven’t played many duo shows since. 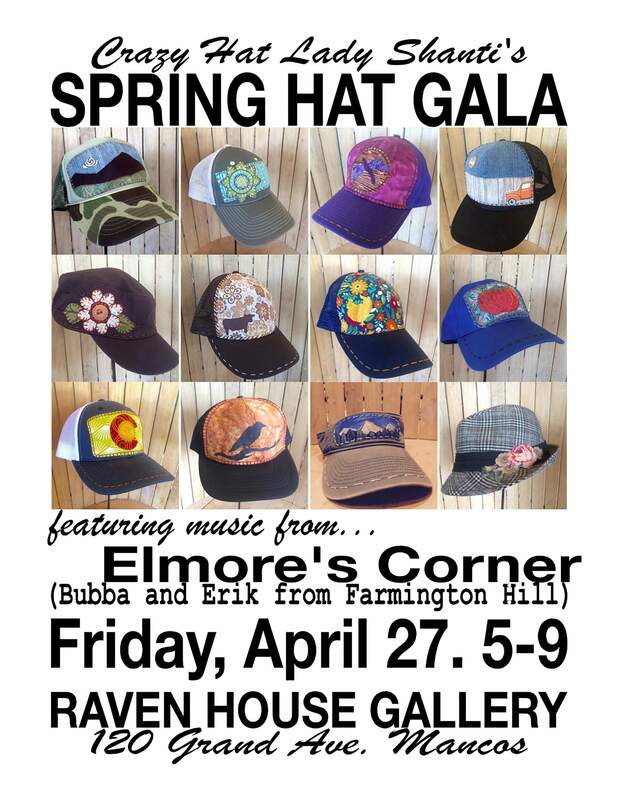 But Nordstrom and Iudice are now changing that, performing as Elmore’s Corner tomorrow in Mancos for the “Spring Hat Gala” at the Raven House Gallery, an art and hat sale featuring locally designed hats from Shanti Savage. Go back 10 years when the two started getting together for playing and songwriting sessions. Soon after, Farmington Hill was born – complete with a five-piece band made up of people with full-time jobs and difficult schedules. Named for Nordstrom’s and Iudice’s fondness for the sense of place, along with the recollection of a local geographic area for a band’s name, Elmore’s Corner is an exercise in playing more shows with the simplicity of a duo. Parsing it down to two musicians opens up avenues for them to play shows where a smaller group would work best, and helps keep scheduling conflicts with bookings to a minimum. On the other hand, it also nudges Iudice out of his comfort zone. One can expect stripped-down Farmington Hill songs with a harmonica solo or two tossed about, amid the lyrics of broken love, self-reflection, self-indulgence, medication, and a degenerate friend or two. Aside from being friends who bond over country music, indie, and punk rock, along with camping, beer, Volkswagen vans, and sleeping in driveways and yards after local shows, you can tell they aren’t tired of each other, even after years of leading Farmington Hill. Each has a palpable respect for the other’s work ethic and style that is noticeable whether you’re sitting at a bar with them or watching them onstage. “He’s constantly throwing out these great songs that were just practiced last night. Man, I don’t know, he’s a great musician, I like his style. He’s got this great sense of music, his arrangement ideas,” said Iudice. Elmore’s Corner is also looking to get out of Durango for shows. The duo has a Memorial Day weekend show booked in Lawrence, Kansas, with rock band The Ants, in addition to a set at The Dolores River Festival in June.